As Prime Minister K.P. Sharma Oli was busy railing against our fraternity of professional star-watchers for advancing a vast right-wing conspiracy against his government, Nepali Congress Vice-President Ram Chandra Poudel helped a little to explain how we got here. On the last day of the first constituent assembly, then Maoist supremo Pushpa Kamal Dahal ‘Prachanda’ had pledged the premiership to Poudel in exchange for the Nepali Congress’ support for the still-dominant ex-rebels’ 10 ethnic state model of new Nepal. Poudel said the price tag for the top job was too excessive. Even for someone who contested a dozen or so times against Dahal for the legislature’s backing for the premiership. So incumbent Baburam Bhattarai stepped down for chief executive Khil Raj Regmi to conduct an impartial election to the second constituent assembly. Of course, the 10-state model fizzled into something amorphous during the second assembly. In the end, the states were delineated but they still don’t have official names and capitals. Yet they are already locking horns with the center over power, privilege and pelf. Dahal is probably happy that Poudel refused his offer. Our federalism fiasco would be emitting a louder thud today, with the Maoists getting most of the blame. A more pertinent revelation from Poudel might have been one on why he chose to stay with the main Congress party after promising to lead the breakaway Sher Bahadur Deuba faction in the summer of 2002. Irrelevant as that may seem to republican Nepal, the precise details might help explain some of the Nepali Congress’ woes today. If Poudel’s intention in letting us in on this forgone-premiership tidbit was to suggest that Congressis do have the national interest in mind when it really matters, well, good for him. But isn’t he the leading Congressi who has been saying all these years that the party can no longer expect to sell its history for a profit? The Nepali Congress’ current strategy of letting the Communist Party of Nepal government dig itself into a deeper hole might have made sense if the main opposition party were less crude in exhibiting its infighting. As the man who headed the party to its worst electoral defeat, Deuba could have taken moral responsibility and resigned as president. But, then, Deuba was elected by his party convention. Moreover, morality cannot be imposed by people who lost the general election on Deuba, who won. Krishna Prasad Sitaula served the party’s purposes in a specific context which does not exist today. The Koirala cousins need to conclude their internecine battles before they can hope to rejuvenate the party. Minor scions like Prakash Man Singh and Bimalendra Nidhi need to do much more than switch camps if they want to be taken seriously. If the factionalism is too deep to paper over, then maybe Nepali Congress leaders should stop making public pronouncements on seminal subjects. One day the party is in favor of restoring Nepal’s Hindi identity, the next day it refuses to entertain advocates of that agenda at a key meeting. Soon thereafter general secretary Shashank Koirala comes out loud and clear in favor of revisiting republicanism and federalism as well before claiming the next day that he was misquoted. And speaking of the Koiralas, the Nepali Congress can’t figure out which boat they want to ride on, Bishweswar Prasad’s or Girija Prasad’s. At least the Oli-Dahal duo seem to have some method to their madness. A new Nepali year has descended on us amid a plethora of fortune-telling on the country’s politics. From face readers to star gazers, the verdict is that 2076 will be an uncommon year. The conjunction of Saturn and Jupiter in Sagittarius led to the end of Nepal’s multiparty democracy in December 1960. 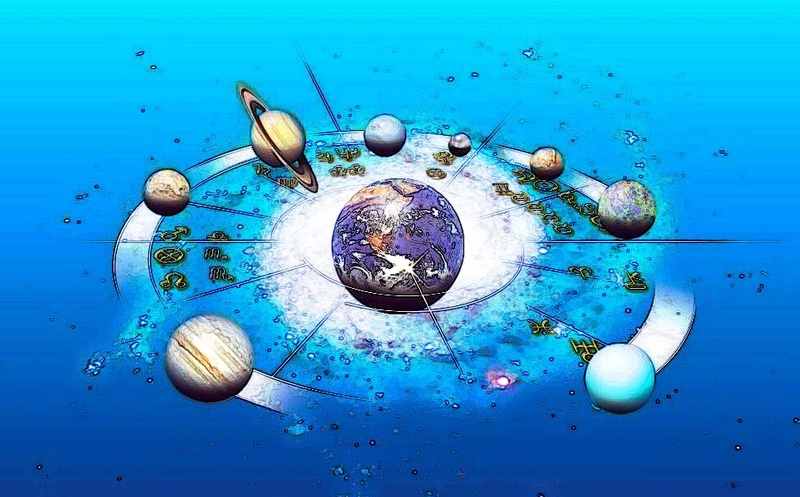 When the two planets stood in mutual aspect (with Saturn in Sagittarius) in April 1990, multiparty democracy was restored. With Saturn and Jupiter in conjunction in Sagittarius again this year, some people are keeping their fingers crossed. Well, what about April 2006, by far the momentous of our political convulsions? 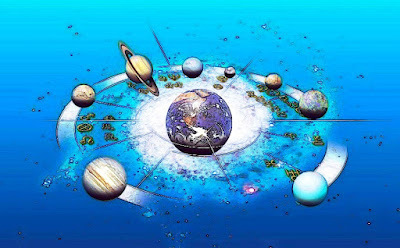 That period was defined by the competing horoscopes of King Gyanendra and Maoist supremo Pushpa Kamal Dahal ‘Prachanda’, not planetary transits, according to some soothsayers. 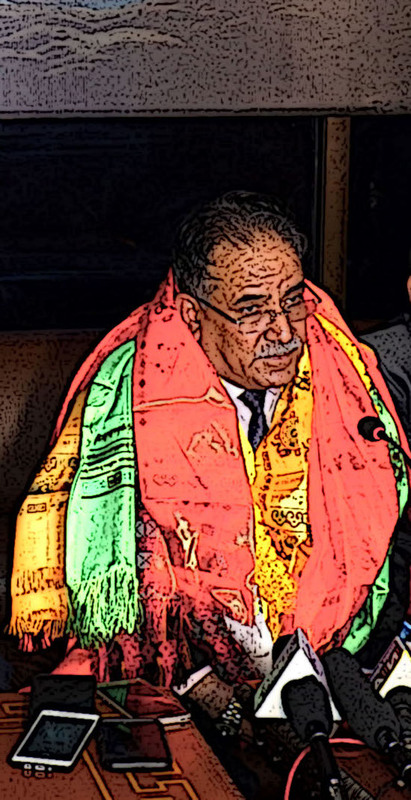 Dahal still has some political energy flowing, while Prime Minister K.P. Oli’s time is said to be fading. Nepali Congress president Sher Bahadur Deuba has that standing prediction of becoming head of government a couple of more times. The other ex-premiers such as Madhav Kumar Nepal and Jhal Nath Khanal either haven’t had their charts read or don’t want their configurations publicized. Baburam Bhattarai is not one to believe in the stars, but, then, he probably believes more firmly that his premiership was a fluke (albeit a more sensible one than Khil Raj Regmi's). Lokendra Bahadur Chand has long receded into irrelevance to even to harbor aspirations. Among the wannabes, Bam Dev Gautam is itching the most, but every scratch of his has so far proved counterproductive. The other ex and current deputy premiers know they have a hard time elbowing out each other before anything else. Although Prakash Chandra Lohani has long been said to own the most politically promising horoscope, things just haven’t fructified. Maybe there are some inauspicious combinations somewhere across the 12 houses and signs that are too intricate for the astrologers. Or Lohani hasn’t been running the right maha and antar dashas yet. His Rastriya Prajatantra Party (United) has just won the Election Commission’s imprimatur along with the long-cherished plough as it symbol. So maybe things are changing. By most astrologers’ accounts, the restoration of the monarchy remains a strong possibility this year, especially toward the end. They say they have been matching Nepal’s annual horoscope with that of former king Gyanendra. (Some have consulted his grandson’s as well and sound additionally upbeat.) Of course, our star gazers are also watching the crowds the former king has been pulling in the plains as well as the hills. Significantly, ex-king Shah, in his New Year message, signaled his readiness to learn from his mistakes and asked the rest of us to do so from ours in the broader national interest. After the Terai swarms, Prime Minister Oli used the legislature to warn the ex-king and his supporters not to try to defy the laws of nature by seeking to resurrect something that had passed on to the Great Beyond. But, then, the prime minister must know how likely an intoxicated medical examiner is to issue a premature death certificate. Oli hasn’t reacted to the king’s tours in the hills. The most supporters of the republican order have been able to do is challenge monarchists to bring the king back and try to keep him on the throne for two days. Quite a climbdown, wouldn’t you agree? Oli instead has trained his ire on Nepalis who don’t seem to see the wonderful things his government has done over the past year. President Bidya Bhandari, too, is descending into a bit of despondency. At a recent public function, she spoke of a sustained campaign to denigrate her office. Dahal tends to speak out when he doesn’t have to and keeps quiet when he should be saying something. The Nepali Congress is too busy chasing its tail. The other parties are attempting to fill the vacuum but just don’t have enough clean air. So the Oli government blunders on almost deliberately burdening itself to imminent collapse. What can the Indian election results, the Dalai Lama’s health and the other uncontrollable external variables do when we can’t get a grip on ourselves? So let’s keep tracking the planetary trajectories. Prime Minister Khadga Prasad Oli increasingly relishes mocking the Nepali Congress, but he doesn’t seem to be exuding authentic mirth. If anything, his external pleasure seems to reflect his inner perplexity. Put simply, our prime minister cannot understand the mounting public disaffection with his government when what he sees from the driver’s seat is so sunny. Oli’s Nepal Communist Party (NCP) enjoys a comfortable majority in parliament and allies put his government in a cozier position. His vision for the country is spotless – ships surmounting our landlockedness and trains defying our harsh terrain. The world’s sole superpower considers us central to its new Indo-Pacific strategy and wants our help in opening up to North Korea. One way or the other the Chinese and Indians will learn to live with this wider respectability. The practical realities the people perceive, however, are depressing. Internal rivalries and personality clashes have weakened organizational sturdiness and collective morale in the NCP. Oli’s complicated relationship party co-chair Pushpa Kamal Dahal ‘Prachanda’ appears to have deteriorated following Dahal’s return from the United States. This is bound to worsen as the government inches its way toward the middle of its five-year term, when Dahal believes his turn as prime minister would begin. In fact, the government’s two-year mark will open the door to a no-confidence vote. Theoretically, that shouldn’t matter for a majority government of a party that takes pride in discipline. But the merger of the Unified Marxist-Leninists and Maoists was an electoral compulsion and the NCP remains a single entity only in name. Moreover, the pervading fluidity has allowed erstwhile UML stalwarts like Jhal Nath Khanal and Bam Dev Gautam – and Madhav Kumar Nepal to a lesser extent – to coalesce behind Dahal in order to confront Oli. The prime minister, for his part, is digging in his heels. Not only is he making decisions unilaterally, but he is also intent on centralizing key levers of state power. After having brought such agencies as the National Investigation Department, Department of Revenue investigation and the Department of Money Laundering under the Prime Minister’s Office, Oli is now said to be seeking the authority to mobilize the army directly. Ordinarily, Oli’s deal with C.K. Raut and decision to go after the Biplav group might have been expected to engender public sympathy and support. The perception that he grossly mishandled both issues is directly linked to his premiership’s general disarray. Parables and allegories may have worked when the nation was struggling the complete its transition to newness, no matter how nebulous. 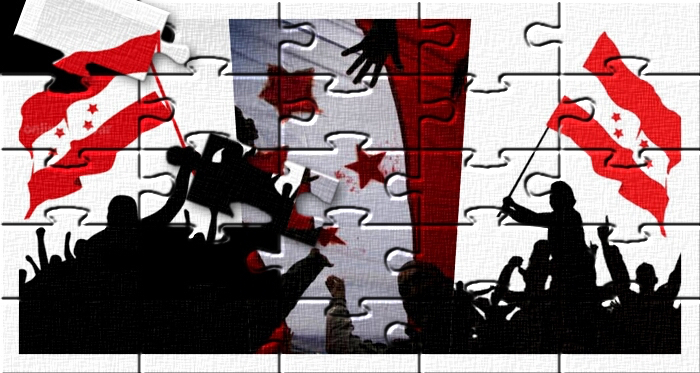 People today expect their government to perform and the person atop to toil, not trivialize. If Nepal is speeding along the way to socialism, as Oli recently stated, he should be focusing on how Nepali communists could organize workers and peasants to face the irrelevance the global biotech and infotech revolutions is inexorably bringing. Those revolutions may be happening in advanced countries, but they certainly won’t leave us alone. Trains and ships are fine and dandy only if we know who and what we are going to put on them. Seeking to restrict the activities of a former head of state, banning a political party and cracking down on social media posts do not exhibit the government’s willpower but expose its weakness. Sure, the Nepali Congress is neck-deep in conflict and confusion. Leaders of that party will swim or sink on their own. The people did not elect the Nepali Congress to govern them. K.P. may not need to learn from B.P. because 2019 is far different from 1960. Yet history, according to Marx, repeats itself as tragedy then as farce. Let’s not even begin to think of the ways in which farce can reprise itself. It was quite out of character for Comrade Pushpa Kamal Dahal ‘Prachanda’ to go after a group of Nepalis living in the United States while updating reporters on his eagerly watched visit to that country. Not that the former Fierce One is a stranger to acerbity and causticity. In his incarnation as Maoist supremo, Dahal would routinely rail against individuals (i.e. 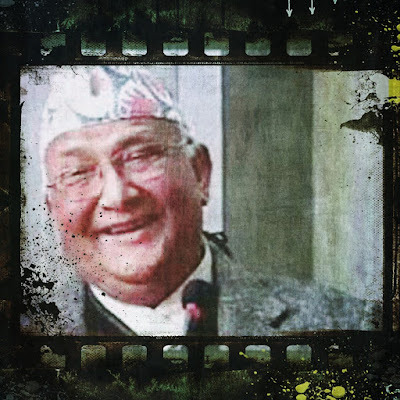 ex-king Gyanendra and, at one point, the late Girija Prasad Koirala) and institutions like the erstwhile Royal Nepali Army (as he so memorably did during his first public appearance in Kathmandu in 2006). His rant against ‘foreign deities’ while announcing his resignation on national TV in 2009 remains etched in modern Nepali politics. That the co-chair of the Nepal Communist Party chose to single out a collection of long-time Nepali residents of the United States for opprobrium perhaps speaks of the broader psychology at play. Dahal’s criticism is far from unwarranted. After all, how many weekend gatherings out there are complete without someone or the other undercutting Nepal? Some of the most vociferous US-based Nepali critics of King Birendra and the partyless regime in 1990 turned out to be the most avid supporters of King Gyanendra’s takeover 15 years later. The deep factionalism within Nepali parties is mirrored in the bigger US cities, sometimes taking an enormous toll on personal relationships. But, then, such generalizations tend to do injustice to the countless Nepalis who – as the saying there goes –make America work, while closely but quietly following affairs back home. In fairness, Dahal didn’t refer to Nepalis in America generically. The NCP co-chair’s infuriation is understandable. Much confidence-building must have gone into planning the visit (the Venezuela brouhaha notwithstanding). The Americans have creatively dealt with the issue of whether the Maoists were ever on par with Al Qaeda in terms of Washington’s terrorism lists. For individuals, officials waivers abound. The humanitarian purpose of Dahal’s visit was enough to suggest that the federal government wasn’t going to arrest the former Maoist chieftain. What about other tiers of US government and the plethora of human rights groups? If President Donald J. Trump, who has just been let go by special counsel Robert S. Mueller, is still on tenterhooks over what prosecutors at the Southern District of New York are poring over, why should Dahal have lowered his guard? The bloke who sent in that “address correction requested” complaint to the Federal Bureau of Investigation (FBI) got great publicity. FBI sleuths weren’t going to dent this particular joist of the Indo-Pacific plank of the US establishment’s long-term foreign and security policy imperative – at least not until Dahal even had a chance to discuss the quid pro quos. Still, you can help wonder whether other dynamics might have been in play. For one thing, the two foreign governments most displeased with the prospect of a US-Nepal strategic partnership each have the heft to show their sentiment on US soil. For another, there are all those people committed not only to ending impunity in Nepal but also to making an exemplary public demonstration of that. What if there were, say, undisclosed complaints or even indictments against Dahal that myriad local law-enforcement bodies were expected to act on? Despite their evident preparation, Nepali diplomats in Washington DC didn’t have to sneak Dahal out of the airport. Our former prime minister stayed at the embassy, held talks with junior-level US officials and visited places like the Maryland state legislature. Pre-visit speculation that Dahal might meet with Vice-President Mike Pence remained just that. If Dahal indeed had a close shave, could his public fury be directed at individuals he may have suspected of aiding and abetting the foes that he could not name?